The automatic water leveler maintains a consistent water level. It is perfect for use at rental or vacant homes. It is just the thing when going away on vacation or just not wanting to deal with filling the pool every few days. I spent twenty plus years overfilling my pool on a regular basis. A lot of water was wasted because I would forget I was filling the pool and let the hose run for hours. This is not only a waist of water it can also cause pool damage around the skimmer area where all of the water overflows. Amazon carries the perfect solution. 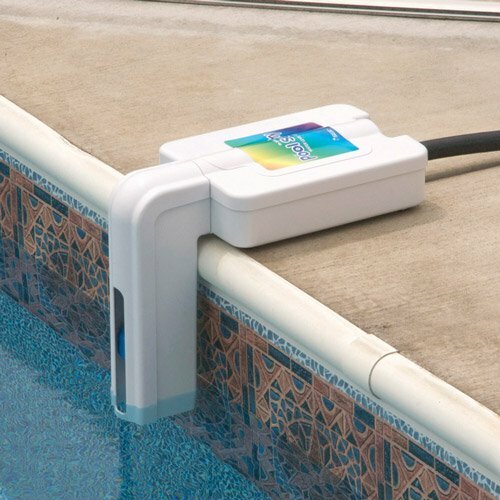 The automatic water leveler is a simple device that keeps the pool at a constant level without you having to worry about it. 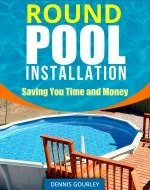 Installation is easy on an above ground pool. 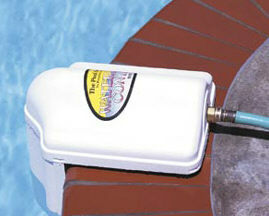 It hooks up to a garden hose and bolts to the top rail of your pool. This chore may take all of twenty minutes. I have seen automatic pool levelers made out of the insides of a toilet. You take the float device, adapt it to a mounting bracket and then adapt it to a garden hose and you have an automatic water leveler that looks like the inside of a toilet. The one pictured here is easier to install and looks a lot better. You could also get one of those jobs that attaches to your water tap and has a timer on it. You turn on the hose for thirty minutes and go on about your business not having to worry about your above ground pool overfilling. But whatever you do, do not let you pool overfill on a regular basis. Water overflowing from the skimmer could easily erode the ground from under your bottom rail causing the cove to settle and possible liner damage to occur. The best way to prevent this is with an automatic water leveler. When reading the reviews of this automatic water leveler keep in mind it is inexpensive. There are a lot of good reviews saying it does what it is supposed to do, but others say it could be built better. You decide. Our pool has a small leak somewhere and looses between 1/2-1" per day. When we were getting ready to leave for a long weekend vacation I ordered this to give us a little piece of mind that our water level wasn't gonna drop below the skimmers and then the pump would start sucking air and burn up. As long as you set it up right this product works great. It is very important to have it level for the float to work properly. We do usually have to turn the water off to this whenever we go in the pool though. It isn't this product's fault but because of how it works with the float once you get in there and swim around, every time a little wave goes by it it kicks on and off, which can be a little annoying when you're floating around the pool relaxing. This is hardly worth griping about though, just something we have noticed when using this. Overall it is a great product and keeps the water level exactly where you want it. We had the first edition of this automatic filler and the second edition is much improved!!! The design itself is so much better!! We filled the top with rocks so that it laid flat against our cool deck (this was mentioned in the instructions) and it's been working perfectly for months now. Very happy with the engineering and design of this model!! We literally haven't worried about our fill line (at all) since we got this one. I believe this is my third unit of the same product. In my opinion, the downside of this product is the apparently cheap manufacturing process. The materials used become brittle with exposure to the environment. My experience has been the thin plastic pipe either springs a leak at the female threaded bib or inside at the coupling. And it's rather difficult to repair either piece. If you can find a better auto-filler, buy it. The reason I keep buying replacements for the one that breaks is pricing. I like this model because it would mount so easily to an above ground pool and it is so inexpensive. Considering the possible damage of over filling the pool it's a small price to pay.